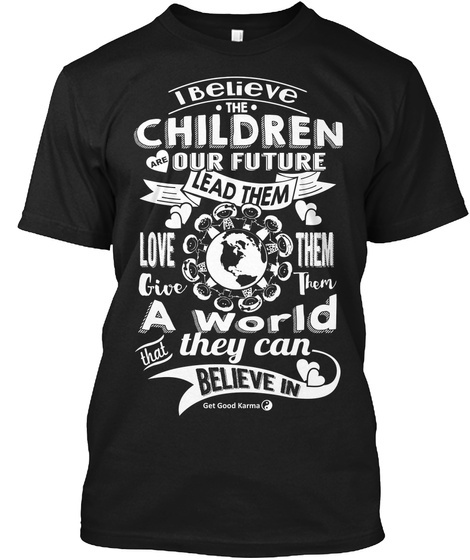 100% of profits from your generous purchase of Get Good Karma's "I Believe The Children Are Our Future-Lead Them-Love Them-Give Them A World That They Can Believe In-T-Shirt," is donated to the Children's Cancer Research Fund. CCRF invests in lifesaving, leading-edge research in the prevention, diagnosis, treatment, and cure of childhood cancers, and blood disorders. CCRF supports the brightest scientists whose ideas make the greatest impact for children with cancer.